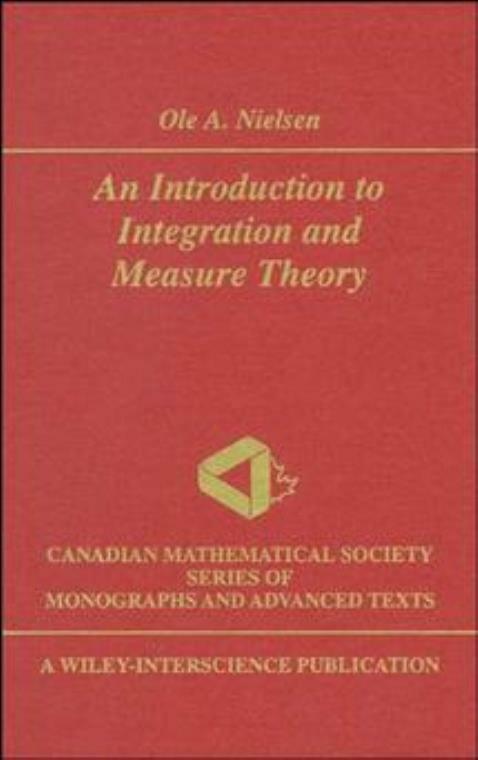 This book describes integration and measure theory for readers interested in analysis, engineering, and economics. It gives a systematic account of Riemann–Stieltjes integration and deduces the Lebesgue–Stieltjes measure from the Lebesgue–Stieltjes integral. LIMITATIONS OF THE RIEMANN INTEGRAL. Limits of Integrals and Integrability. Continuous Linear Functionals on C[a,b]. The Extension of the Riemann–Stieltjes Integral. sigma–Algebras and Algebras of Sets. The Integral Associated with a Measure Space. The Lebesgue Spaces and Norms. Linear Functionals on the Lebesgue Spaces. Product Measures and Fubini′s Theorem. Lebesgue Integration and Measures on R?n. Signed Measures and Complex Measures. Convergence of Sequences of Functions. Measures on Locally Compact Spaces.